The fall in Snapdeal’s valuation might be more precipitous than previously thought. Flipkart isn’t willing to pay more than $350-$400 million for Snapdeal, sources have told Hindu Businessline. This is a near 94% discount to Snapdeal’s valuation when it had last raised money — in February 2016, Snapdeal had raised $200 million at a valuation of $6.5 billion. Snapdeal, for its part, is reportedly hesitant to accept this offer. Snapdeal values its marketplace itself at $400 million, while its two other arms, Vulcan Express and Unicommerce eSolutions, are together valued at $200 million each. The latest valuation will come as a further blow for Snapdeal employees who hold its shares. 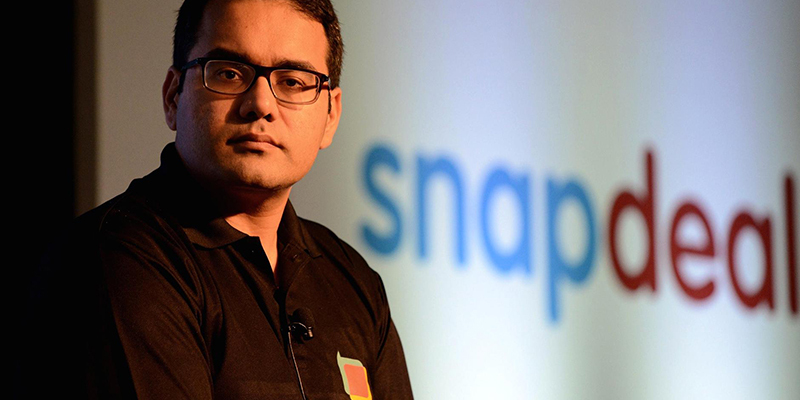 Hundreds of senior Snapdeal employees have the company’s shares that were initially valued in crores, but could be worth significantly less once Snapdeal is sold to Flipkart. Just last month, a former Snapdeal VP had gone as far as to say that the shares were essentially worthless, and were only good for selling bhelpuri. And the uncertainty around Snapdeal’s future isn’t helping. Rumours about its sale to Flipkart have been swirling for months now, and Snapdeal’s valuation appears to be falling as time goes by — last month, it was being reported that Snapdeal might end up being worth as much as $1 billion. The companies had signed a non-binding termsheet in the last week of May, and Flipkart is currently performing its due diligence on Snapdeal. If all goes well, the deal could be announced in the first week of July. But whatever the final terms of the deal, it’s now looking increasingly likely that Snapdeal will end up being one of the most high-profile startup busts in India’s history. Snapdeal has raised $1.5 billion through its lifecycle, and to be sold for a mere $400 million will mean a massive erosion in wealth for its shareholders.